Along with the class room learning, you will also have four hours of ministry training. The work training portion of the program teaches practical aspects of missions work. 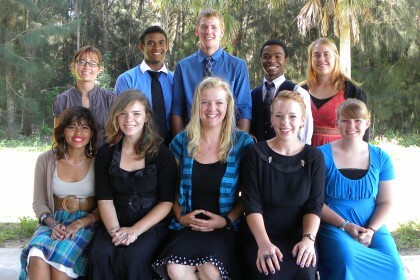 While here, students are assigned to work in a department at the Teen Missions Headquarters. A Teen Missions staff person will facilitate on-the-job training to give you practical exposure to the various needs of the ministry. Some of the skills learned during work training may include: computers, secretarial/office skills, printing, video editing, graphic design, vehicle maintenance or facility maintenance. Each student serves in the kitchen and security on a rotating basis. Although training is usually specific, students and staff may be called upon to assist where the need is greatest—not an unusual occurrence on the mission field. In addition to the school, Teen Missions also uses the property as a Christian Retreat Center. The income from the retreats helps to support the Florida Free BMW. As an important part of staffing, retreat duties may include working in the kitchen or lifeguarding, as well as various other jobs. As a result, students are a vital part of the headquarters operations that enables the overseas ministries to operate. At the end of each term, the students’ work and training is evaluated.